You may have noticed that we recommend using gaiwan preparation for almost every tea we offer. 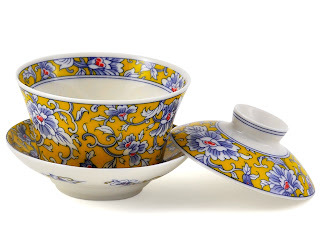 While it may take some practice to hold properly and strain without spilling, we think that you will come to love this classic piece of teaware. That is one reason we invest so much in providing fine gaiwans made of lovely bone china and decorated with designs inspired by the royal Chinese courts.